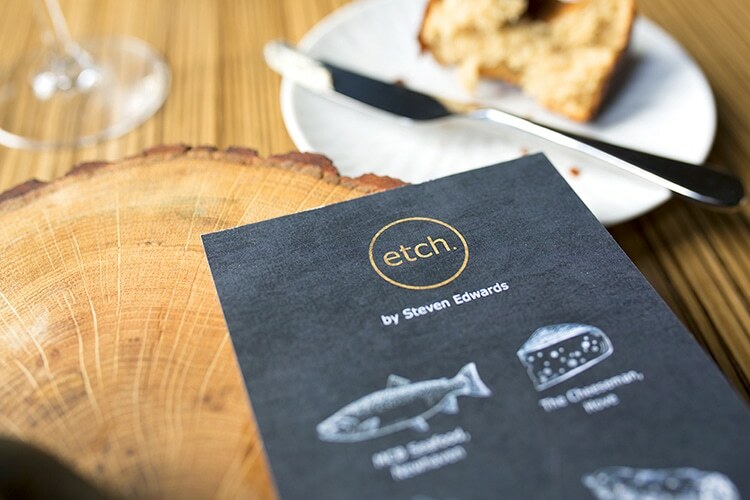 There’s a real buzz in the air as Brighton and Hove celebrate Steven Edward‘s first restaurant, Etch restaurant Hove which opened in 2017. 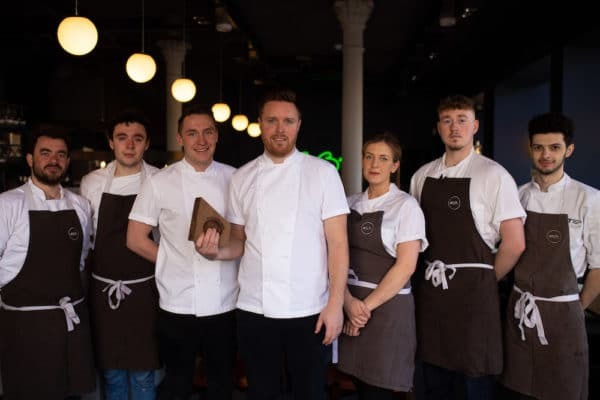 In 2018/ 2019 too, Etch was awarded a 3 star AA Rosette which means Etch. 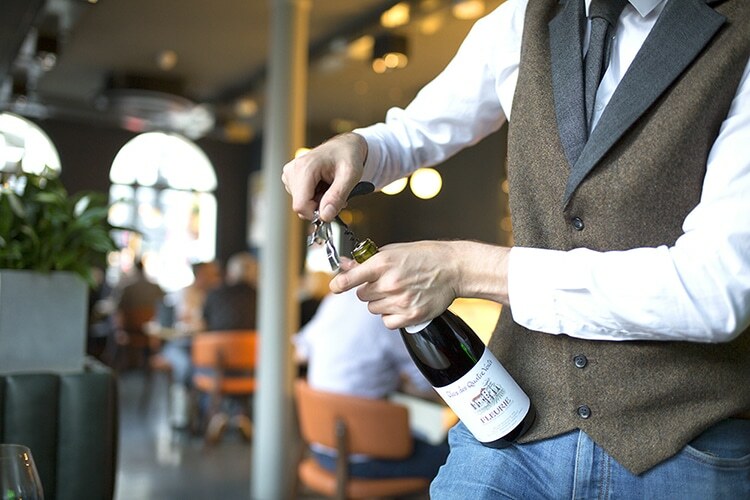 is the joint highest rated restaurant in Brighton and Hove. Best know for winning the 6th series of ‘Masterchef : The Professionals’, Steven has an extensive fine-dining background, working alongside Raymond Blanc & Chris Wheeler before moving to the prestigious South Lodge Hotel in Horsham. Here he worked alongside Matt Gillan who also found TV fame on Great British Menu. 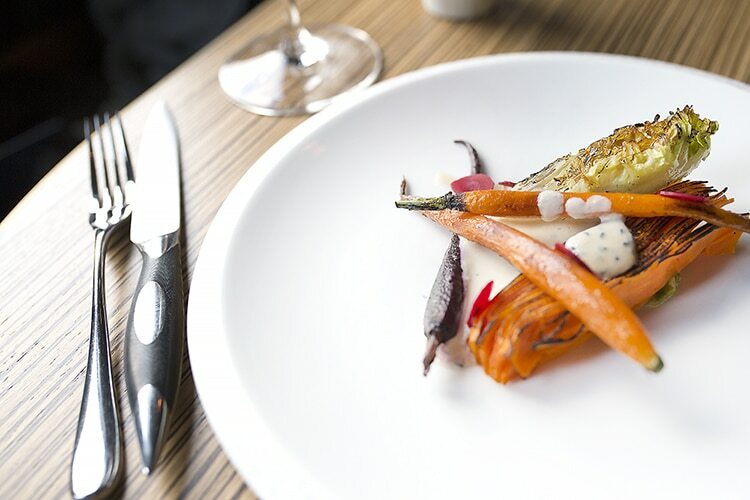 Etch is located on the corner of Church Road and Sackville Road, an area that is well known for shops and restaurants, but Etch stands out as they offer something quite different to their neighbours. There’s parking along the streets around the restaurant, some you will have to pay for. There’s also a long stay car park at King Alfred, a short walk from the restaurant. The nearest train station is Hove station, just a 10 minute walk to the restaurant or a 10 minute taxi from Brighton train station. 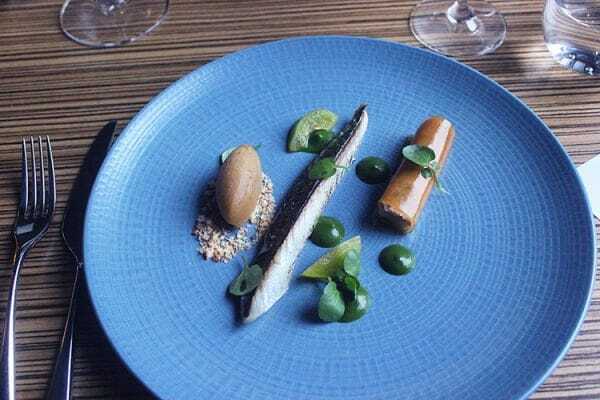 What can we expect from Etch Restaurant Hove? Opening Wednesday & Thursday evenings and Saturday lunch, Etch. offers exciting 4-6 courses. 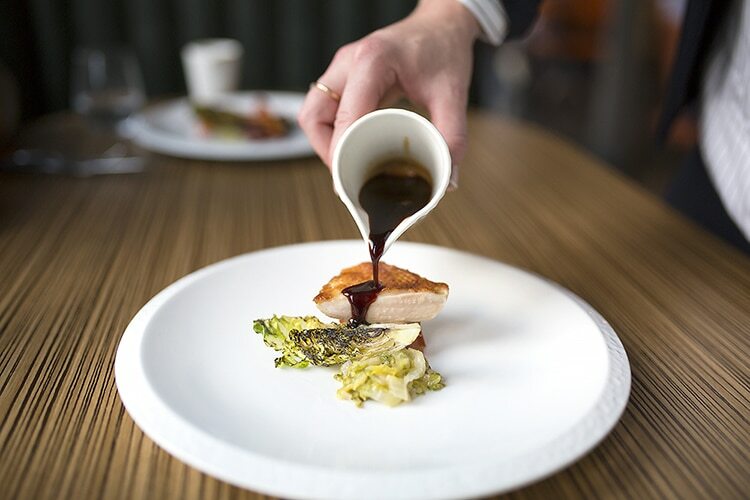 Friday & Saturday evenings there’s the choice of 6 or 8 course tasting menus that use the best local ingredients possible. The menu changes every week which you can find on their website. It is recommend to allow for 2 hours for 4 courses, and 3 hours for 6 or 8 courses. 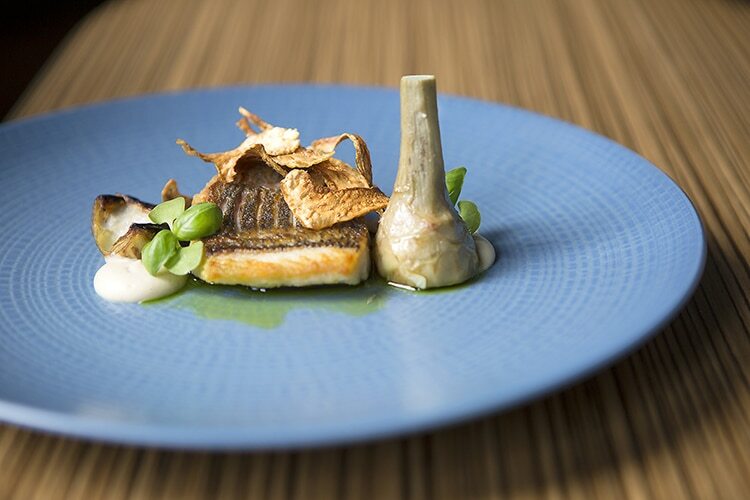 All the fish, meat and product comes from Sussex within 30 miles from the restaurant. Some items aren’t produced locally, but these are kept to a minimum. 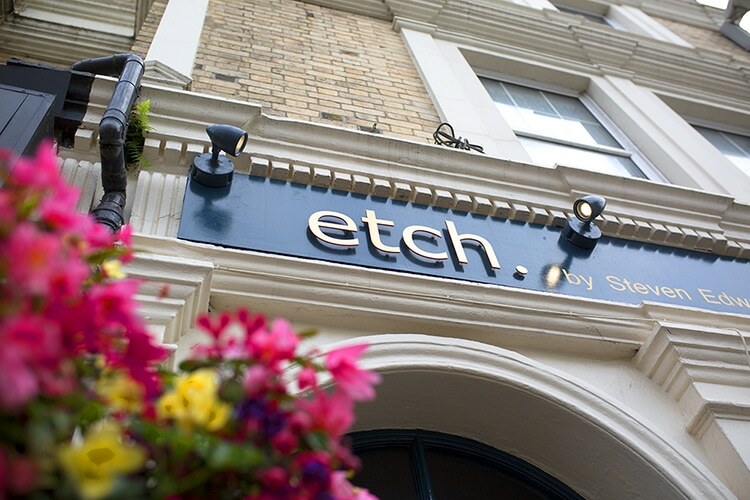 When making your booking, let the team at Etch. know about any dietary or vegetarian requirements. If you have any allergies, call the restaurant and let them know and a menu can be created for you. Etch. can accommodate to wheelchair users, but there isn’t a disabled toilet. Children over the age of 8 are allowed to dine at the restaurant, but there aren’t any facilities for infants or a children’s menu. Pushchairs cannot be accommodated at Etch. 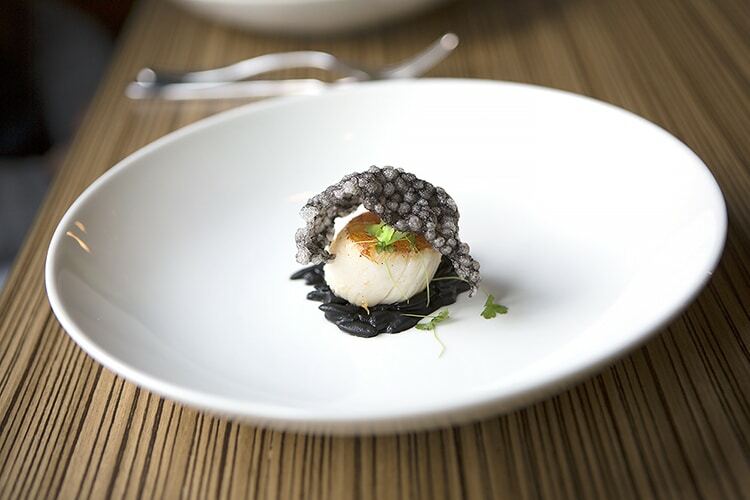 There isn’t any dress code, the food is fine dining but the restaurant follows a more informal approach to service. If you’d like to make your evening more special, a chauffeur service is available. Just let the team at Etch. know if you’d like one booked for your visit. The restaurant has a private dining area that hosts up to 8 guests. The restaurant also welcomes groups of up to 38 guests for events such as corporate gatherings or celebrations. The Etch. team can be hired to host your home dinner party or wedding for up to 150 guests. His food is lovely. He makes food that is great to eat, expertly cooked, presented with a certain elegance, clean lines, and it works — fault-free. Great new addition to Hove restaurants options. Fine dining experience with a great interior and a relaxed feel about it. Food so well presented and some dishes melted in the mouth. Next time we go we might try the 8 course menu as the dishes on the other table looked amazing. The bar staff were really helpful with the choice of cocktails and got them spot on. I can see this place winning awards in Brighton for many years. 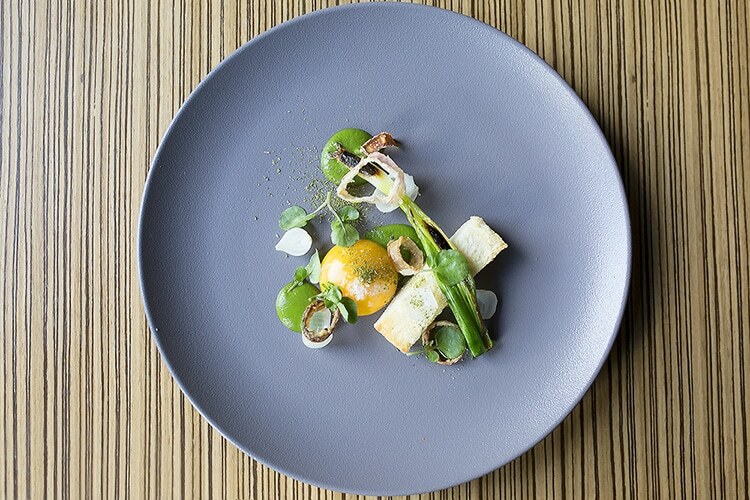 Massive fan of Steven Edwards his food is always new and exciting but not over complicated.